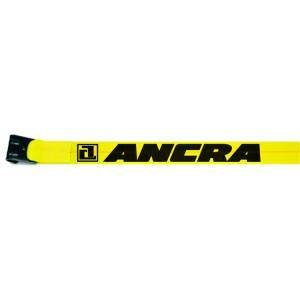 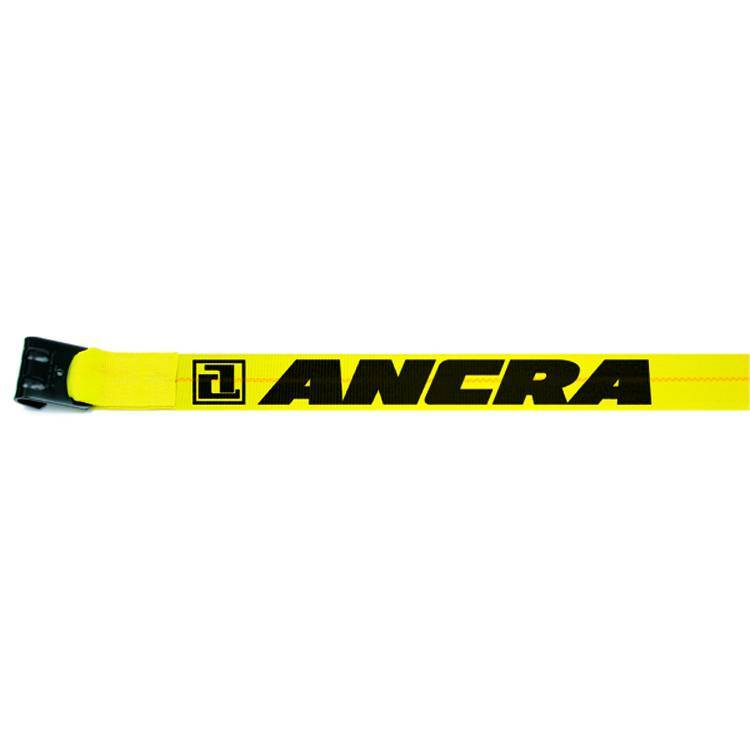 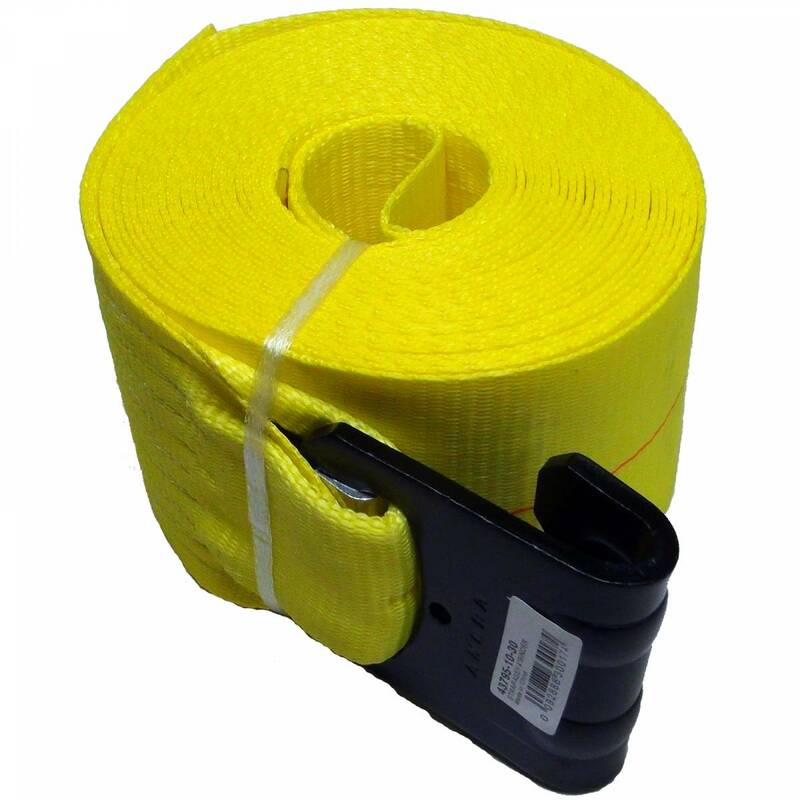 Ancra polyester 4" x 30' winch strap with 41766-18 flat hook part # 43795-10-30 is made of yellow 20,000 lb treated polyester webbing. The polyester webbing has an assembly breaking strength of 15,000 lbs and the finished winch strap has a working load limit of 5,400 lbs. 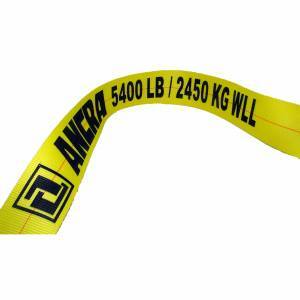 Ancra polyester winch straps meet or exceed WSTDA T-1 standard specifications for synthetic web tiedowns. 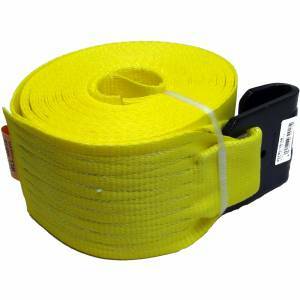 Order single straps or the best deal of a case of 10 winch straps.